When it comes to finding a great conflict to tell a compelling story, you don't get much more classic than sibling rivalry. Cain and Abel were brothers who got in a fight, and settled their differences with a rock to the head. Meanwhile, would anyone even remember Oasis if the Gallagher brothers weren't such perpetual creeps? Probably not! 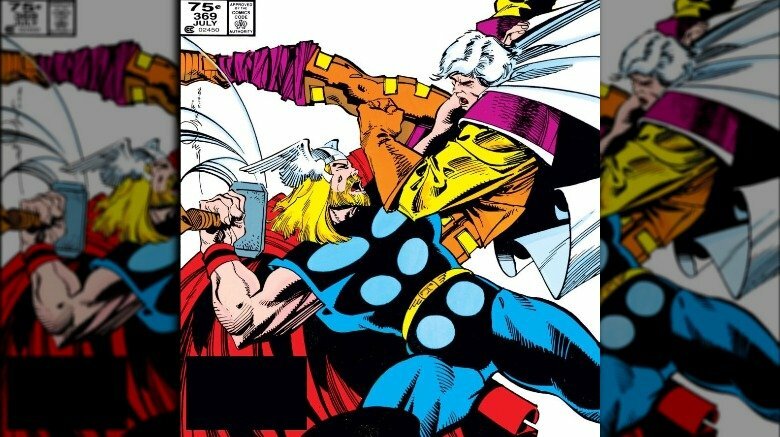 So it's no surprise that every movie in the Thor franchise — which depicts Norse gods smashing monsters and each other with fists, hammers, and anything else within arm's reach — uses sibling rivalry as a launching point in all three installments. The first two feature the conflict and subsequent reconciliation between brothers Thor and Loki as the most important features of their plots. Meanwhile, Thor: Ragnarok takes things a step further by introducing a third member of Odin's brood, Hela, who takes over Asgard and motivates her feuding younger brothers to work together to defeat her. But as Marvel Cinematic Universe fans have since discovered, plans were underway behind the scenes to give Thor and Loki yet another, different sibling — a brother who might be more familiar to comic book readers and lovers of Norse mythology. That's right, Balder the Brave was almost introduced to the MCU to further complicate Thor's family tree. "Balder is so integral to that Thor family," said former Marvel Studios head of visual development Charlie Wen during our exclusive interview. Wen's Instagram post from August of 2018 included concept art for Thor: The Dark World that revealed his take on adapting Balder — who's appeared in Thor comics for years — to the big screen. While the character's inclusion in the film was eventually scuttled, it's exciting to imagine how the MCU might've been different had Balder survived pre-production. So what's the big deal about Balder? Well, for starters, he's got more right to the throne than either Thor or Loki — at least if Marvel Comics and Norse mythology have anything to say about it. The films depict Frigga, played by Rene Russo, as Thor's mother. But the thunder god's origins actually point to Gaea, the Earth goddess, as Thor's real mom, while Frigga is his step-mother. "Odin was doing something on the side that he shouldn't have," said Wen. "Balder is really the true heir to throne [...] There's a lot of things about that character that can be really key to the story." However, the filmmakers behind the MCU know when to stay faithful to the comics, and when to streamline and simplify in order to keep the average moviegoer interested. It's one of the reasons the MCU works as well as it does — and introducing Balder to the mix in The Dark World would've made a mess of an already pretty complicated story featuring spacefaring Dark Elves, a reality-warping Infinity Stone, and Kat Dennings. How could Balder compete with all that? 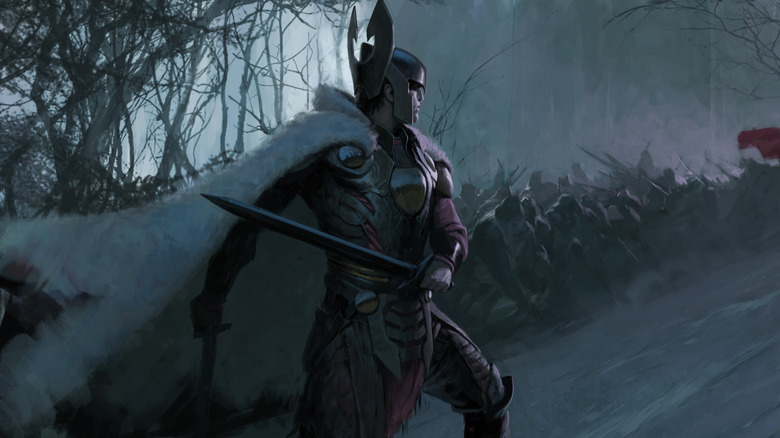 "He complicates things quite a bit," Wen said of Balder. "Especially if you're trying to make a story really about Thor and Loki." "There were interesting ways that I remember us going through of bringing him in that made a lot of sense as well." Ultimately, however, the biggest hurdle was that there was no easy way to introduce Balder to the MCU's continuity while giving him the importance the comics says he should have. "In the comics, he is the one who triggers Ragnarok. He's the one that actually triggers that whole event of the destruction of Asgard," said Wen. "He's an important character in the comics. How do you integrate him without him feeling like he's just an added character?" Wen left Marvel Studios to pursue his own creative endeavors in 2014, so he's not involved in the future of the MCU — at least not directly. But as it turns out, much of the design work he did at the company is still popping up in Marvel movies so many years later — like the Black Panther designs he art directed during pre-production on The Avengers that eventually informed the character's cinematic debut in 2016's Captain America: Civil War. As such, despite the fact that we've yet to see Balder appear in the MCU to this point doesn't mean Wen's designs won't make it onto the big screen sometime in the future. "It's okay for me to say this, because it's just an opinion at this point," says Wen, alluding to the fact that he's just speculating on the MCU's future as a fan, not a former member of production. Even still, he played coy. "If you're familiar with the comics, you'll know that there's a lot of possibilities," he said. "Who knows?"